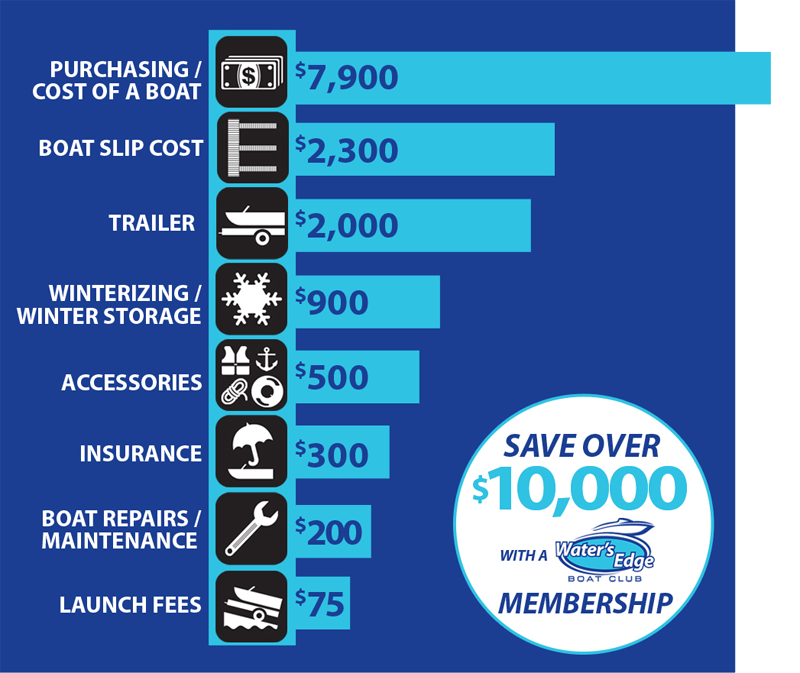 A membership is an economical way to boat at a fraction of the cost of boat ownership. The table above illustrates the first year itemized costs between a membership and purchasing a $25,000 boat. These numbers do not include cleaning, travel time, or hauling a boat.